ducky house | the quacks of Tamara Frampton Vieira: happy earth day! On such a beautiful, warm spring day how could I resist the laundry line. Bonus for being earth day too! Have a good one. 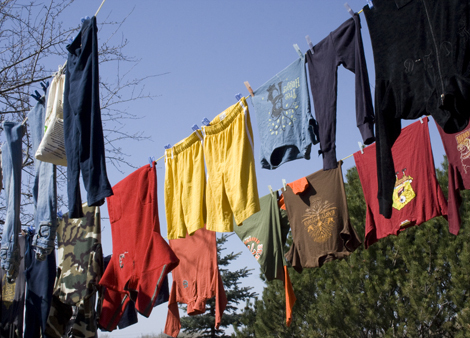 if your laundry line looks full of color, that means you have kids in home! lovely photo, happy earth day!